Every day, our Safe Driving Pledge reminds us of the high level of trust you have placed in us. 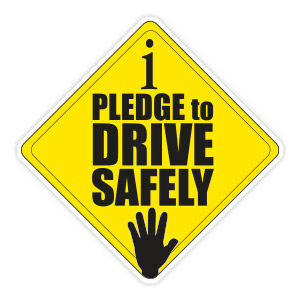 The pledge inspires us to always stay focused and remember that your safety is our highest priority. I will inspect the body, headlights, turn signals, windshield wipers and fluids daily. I will completely clean my vehicles windows and mirrors before driving. I will not drive under the influence of alcohol, drugs, or when drowsy. I will not drive aggressively or when angry or emotionally upset. I will not rush and give myself plenty of time to get where I am going. I will not speed. I will always obey posted speed limits and obey all roadway signs. I will always keep a safe 3-second or more following distance. I will not eat, read, groom, be distracted or use my cell phone while driving. I will always stay alert for the other guy and for unexpected road hazards. I will also give the right of way to bicyclists and pedestrians and be extra cautious near motorcyclists and large trucks. I will always use my turn signals and check my mirrors and blind spots before changing lanes. I will slow down and use extra caution in construction zones, at intersections, in wet or bad weather, and at nighttime. We are a fully insured and licensed by Florida Department of Transportation.